Just changed the oil on my bike. This was quite possibly the easiest oil change I have ever done on a bike. T-47 Torx bit for drain plug and t-25 to move the lower left plastic out of the way for easier access. Oil filter from Amazon, and 3.5 qts of oil. (Owners manual says 3.7 qts , 3.5 L, but I prefer to see the top of the oil level in the window) BMW engineered this one right. Agreed. It was incredibly simple. I had a bit of anxiety as I prepared to change oil and filter for storage here. I accidentally put in 3.7L not 3.7 quarts. Oops. Easy remedy. My drain plug had virtually NO metal sediment on the magnet. A single fleck. I used BMW oil and filter. It cost as much to do it myself as it used to cost for the Honda dealer to do same to my old motorbikes. 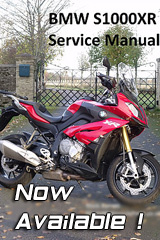 What mystifies me more is that oil and filter were so simple to do on the S1000XR. It's just awfully expensive oil. Yep...did mine just this last weekend....so simple to do compared to some bikes.